Coleman, 82, laughs during a lively phone chat from his home near Las Vegas. Coleman also knows how many people regard his decade-old public arguments. As sheer nonsense. That’s clear from his Twitter feed, “climate frenzy” blog and occasional political activism — he made hundreds of phone calls (reading a script) urging votes for Donald Trump during the primaries. Coleman aims to expose what he calls “Algorian” scientists fudging data and taking billions in government research grants for the sake of career advancement and economic comfort. 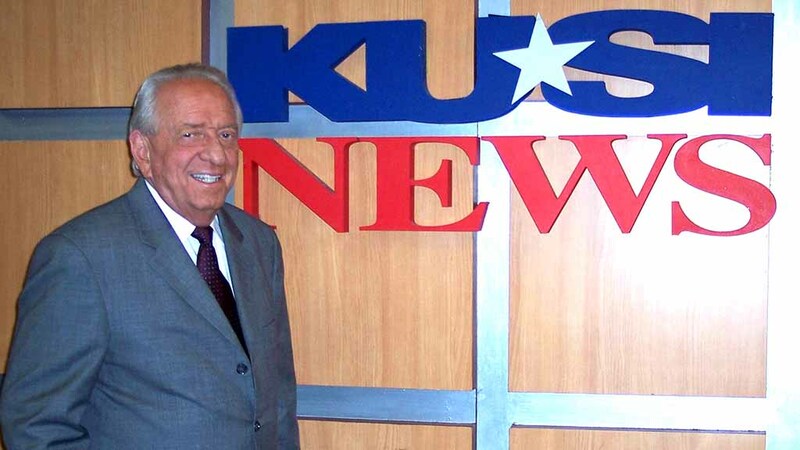 At KUSI, with financial backing from the Republican McKinnon family, Coleman hosted two hour-long documentaries critical of the notion of manmade climate change. He did many news pieces. 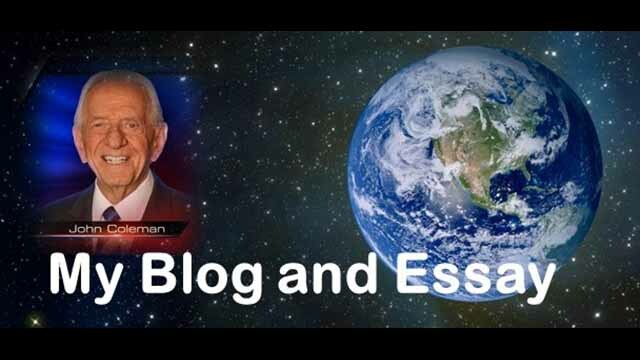 How did Coleman go from the clowning meteorologist of ABC’s “Eyewitness News” in Chicago to the Kay-YOOOOOUUUU-Es-Eye crusader against “the greatest scam in history”? Charles Homan of Columbia Journalism Review said Coleman “snapped” while watching an Eagles-Cowboys football game one Sunday night when TV studio lights were cut as a “green” gesture. But the seeds were planted decades before Coleman’s 2007 manifestos. 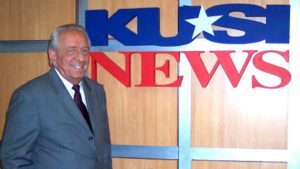 Coleman went on several national shows after his April 2014 exit from KUSI, including Fox News (with Megyn Kelly) and CNN (with Brian Stelter), to make his case. But Coleman confessed to Times of San Diego that his TV turns are drying up. He says a CBS production company contacted him about an interview for an hourlong TV show. “Well, you know,” came the reply. 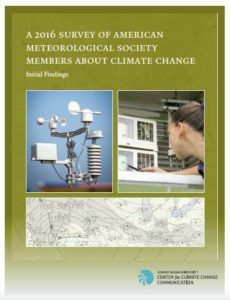 In the phone chat, Coleman was asked about “97 percent of climate scientists” citing manmade change. So where did the 97 percent come from? Coleman’s says it’s just the share of scientists who agree the earth is warming, which even Coleman concedes. But what about that fact Republicans control the pursestrings? Coleman agrees that Trump would like to shut the spigot. But not because he has a strong position on climate science. It’s just for budget savings. What about Sacramento’s cap-and-trade measure — passed with GOP help? “That takes phones away from the kids, or they don’t get new tablets so they can do their homework right. Or the college fund is down. Or clothes or vacations. It hurts that family very deeply. And these politicians who live on the top edge don’t have any understanding or feeling for the average people. And it drives … me … nuts,” he says, pausing between words for emphasis. Does Coleman regard La Jolla’s prestigious Scripps Institution of Oceanography — a groundbreaker in climate studies — as doing fake science? But the rest of Scripps’ studies? Mayor Faulconer’s office did not respond to a request for comment. But Masada Disenhouse did. The founder of climate action group SanDiego350 — who helped organize the downtown Climate March in April — defended the mayor and countered Coleman on other issues. In 2015, she noted, SanDiego350 drew a chalk line in Mission Beach’s retail area to show where high tide would reach if trends continue until 2050. Disenhouse defended efforts to wean the economy from fossil fuels. He says a day will come when homes are coated with graphene paint and homeowners “disconnect the power line.” Same with the car.